Summer in Belgrade is hot. Temperatures are high, usually above 35°C, and city concrete almost starts to melt down under the Sun. The reason why you shouldn’t worry about it is that Belgrade is built on the confluence of two large rivers, Sava and Danube, that help us cool down and that send us refreshing breeze. Your to-do list when travelling to Belgrade in summertime can be almost limitless. Sometimes we feel like only summer of double length can be enough to drink every coffee, every glass of wine, to soak every sun ray, visit every party. This is why you need to be precise about what you want out of summer in Belgrade. 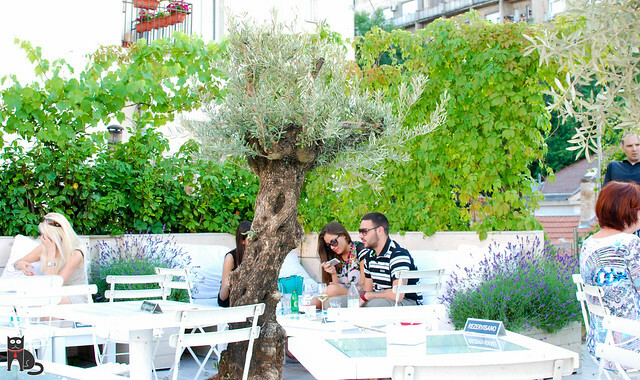 This is our little Summertime Belgrade guide! It actually is how we call Ada Ciganlija – “More Beograda” or Belgrade sea. Ada is a river island on Sava that is incredibly well arranged so that you can do almost everything there. From bungee jumping, rock climbing, golf, cycling, football, tennis and basketball, to water skating, simply sunbathing and enjoying at a beach. Ada is monitored each day by beach safeguards. You can bring your own towel and lay on the sand, or simply use beach bar sunbeds or chairs while you drink your coffee or beer. Don’t forget to try tapped vanilla ice cream dipped in hot chocolate (located at the very entrance of Ada). Belgrade swimming pools are also a great way to chill and enjoy summer here. We recommendTašmajdan, Banjica, Olimp, Košutnjak, “11. april,” and “25. maj.” Prices vary from 250 to 350 RSD, and we suggest you try night swimming as well. You’d be surprised by how Serbian people love hanging out in café’s and restaurants. That’s why there is a huge offer of places you can go to and enjoy every moment of summer mornings or evenings. True specialties are summer beer gardens. Here are some of them! For five years in a row people in Belgrade enjoy open theater in summertime in a festival called Filmstreet. They play classics in wide open spaces around Belgrade, like parks and closed streets. And it’s for free! Belgrade Filmstreet 2015 has been opened with Star Wars. 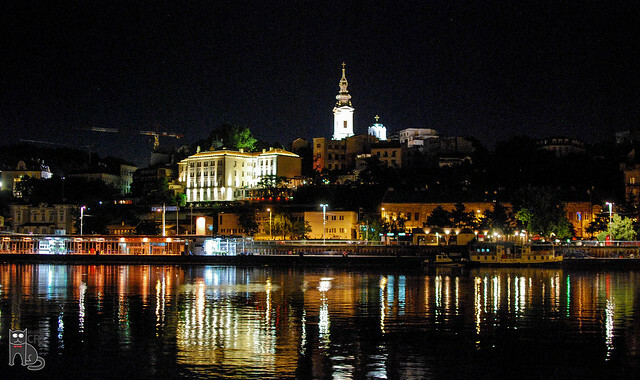 We guess you are familiar with the fact that Belgrade nightlife moves from the city to the rivers during summertime. This means that everybody’s partying on Belgrade floating river clubs. It’s great for many reasons, and one of them is that you’re practically on the open space, looking at the lighted bridges, Kalemegdan and the rest of the city. Cool clubs on the rivers are Šlep, Povetarac, very well known 20/44 – these are places you should go if you are not bothered with dressing up, wearing shirts or high heels if you’re a girl. “Land” options are Bitef Art cafe’s summer stage at Kalemegdan, or some of the many bars in the city center – if you like expensive places, we suggest you hit Strahinjića Bana street. Belgrade has to offer many interesting neighboring places, especially if you own a car, or you’ll able to rent it. You could make a picnic, prepare barbecue, go sunbathing or swimming. Avala is a mountain 18 km from Belgrade. You have probably seen the tower of Avala, in pictures or in person somewhere around town. Near Avala there is a small village called Trešnja, with a lake and wild nature, where we like lighting up a barbecue sometimes. Great locations for barbecuing, other than abovementioned Ada Ciganlija, are Topčider, Košutnjak and Kosmaj. Bela Stena is a river island in Danube, just above Višnjica municipality. It is known by its white fine sand and plenty of river shells in the water. Tip: make sure you bring bottled water because there’s no shops on the island – only a couple of beach bars. Zornića kuća (or Zornić’s House) is an ethno house in Barajevo, about 45 minutes from city center by car. 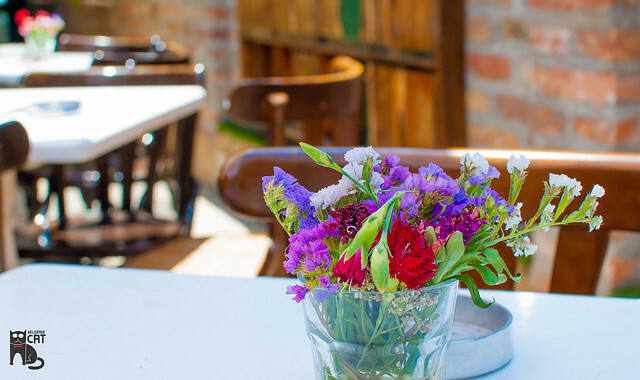 They serve 43 different types of rakija, they’re located in pure nature and serve delicious food. If you need any help with getting to these places, please feel free to contact us!